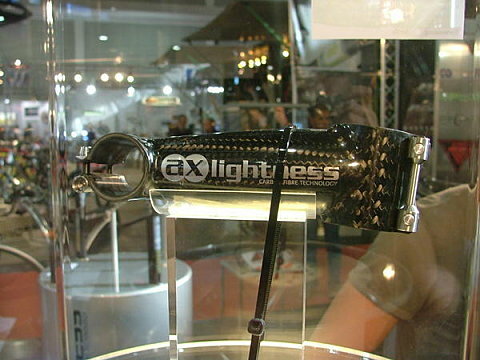 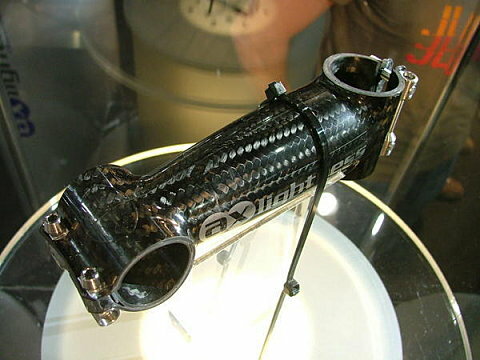 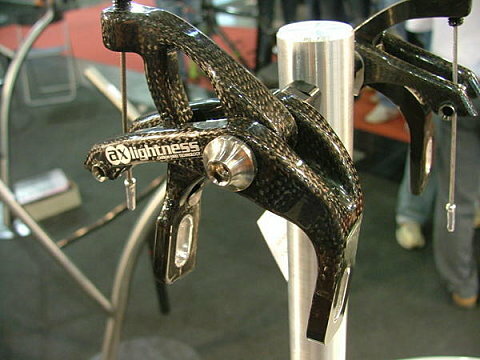 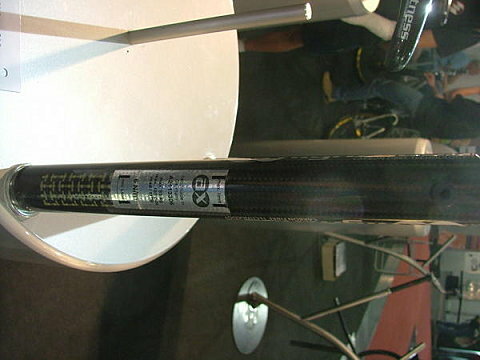 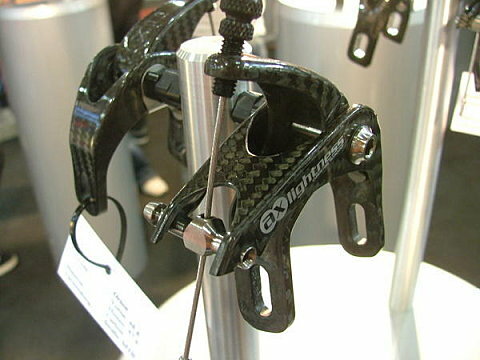 AX-Lightness is coming with a brand new stem, it is actually still a prototype that weights 68gr in 110mm. 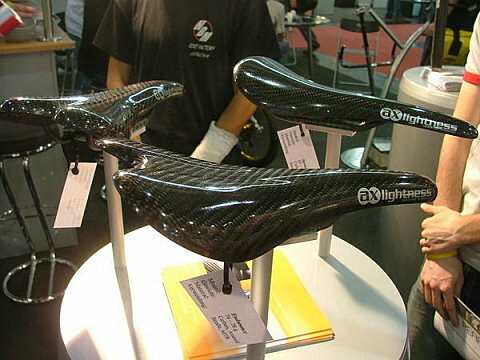 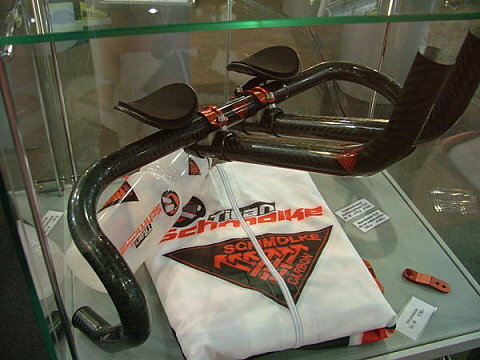 They changed the decals on the seatposts. 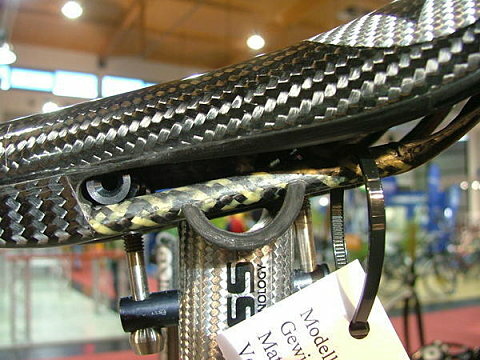 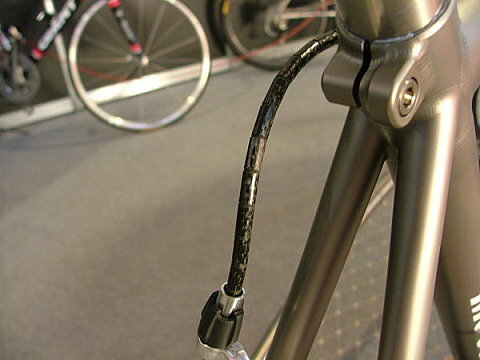 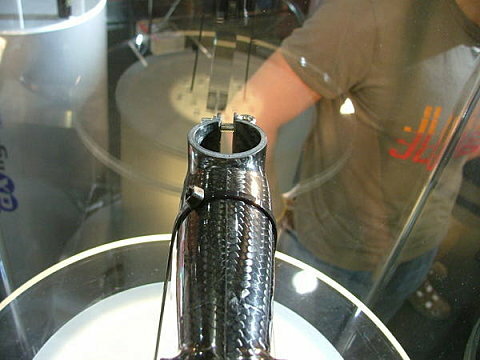 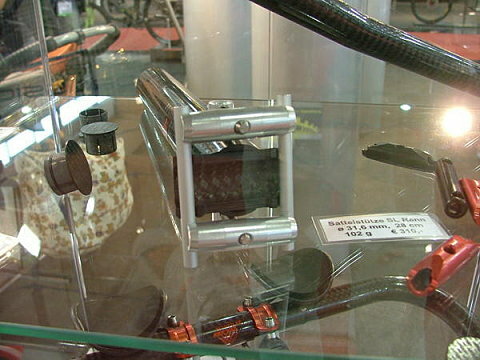 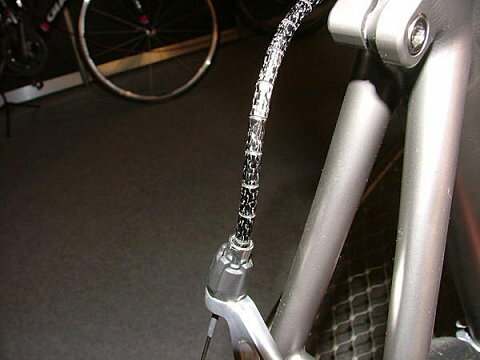 The silver component line and the bottle cages have been cancelled because of the difficulty to get raw materials but it doesn’t not affect the Phoenix saddle. 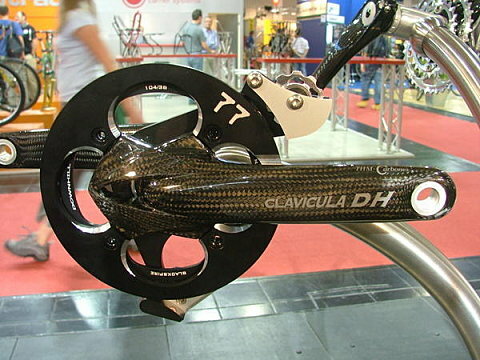 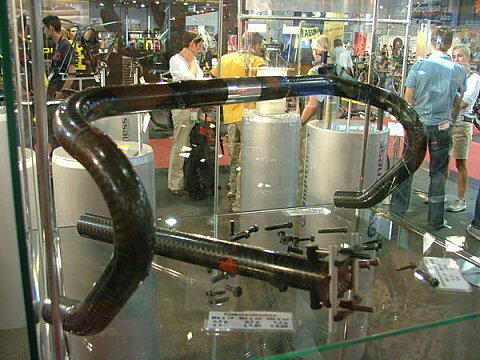 THM has produced a Clavicula crankset for downhill, it’s called Clavicula DH. 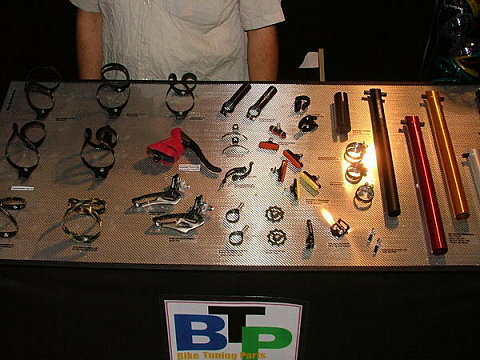 BTP came with some new colors for his bottle cages, a new hub that is full carbon and is available up to 20h, some nice ergohoods covers in many differents colors, a carbon lever to replace the stock alloy lever of Campy downtube/TT shifters is made too. 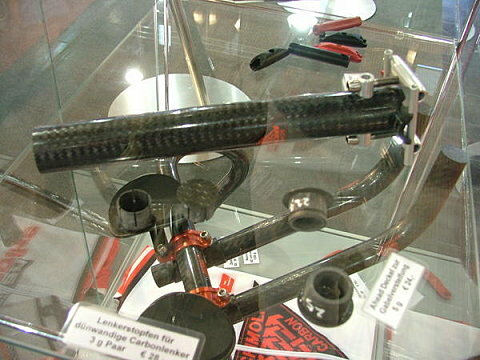 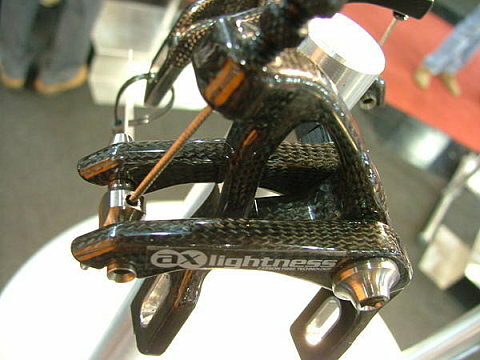 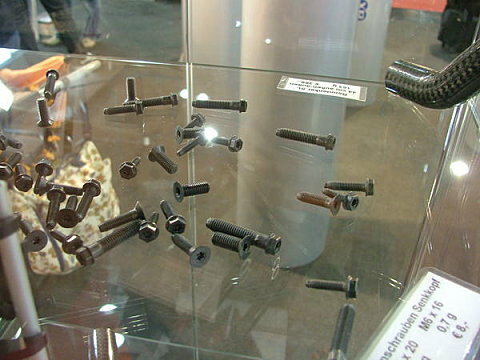 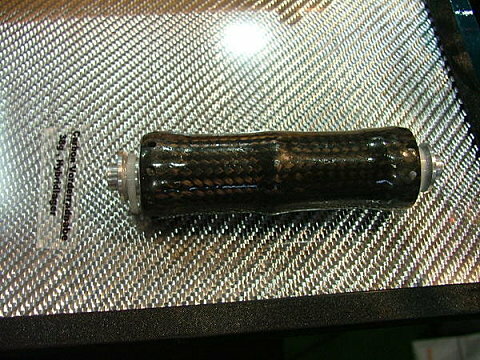 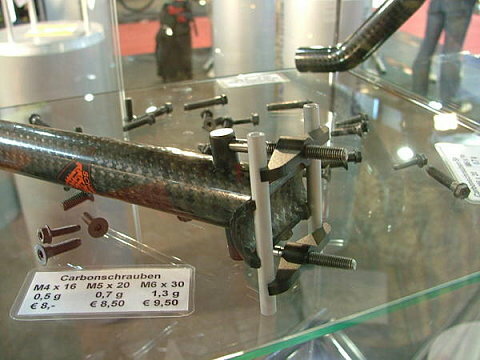 Nokon has made carbon fibre housings.